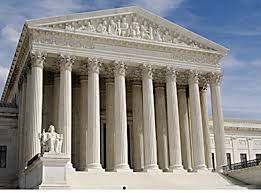 In an important ruling by the U.S. Supreme Court, the court decided not to hear about a lawsuit brought against the town of Fremont, Nebraska, for passing an ordinance that forbids the undocumented from being able to rent. The court did not find the law discriminatory, and did not find that it broke immigration law either. Immigration reform opponents have hailed this ruling as a “victory” for “law and order.” Similar laws passed in Hazelton, Pennsylvania, and in Farmer’s Branch, Texas, were struck down by lower federal courts. The American Civil Liberties Union of Nebraska and the Mexican American Legal Defense Fund, which brought the lawsuit against Fremont, vow that they will watch this law being carefully implemented to make sure that it is not discriminatory. Sadly, that is all they can do for now since the U.S. Supreme Court has effectively ruled this law constitutional. I do not see how it can be constitutional since it is by its very nature discriminatory (it is aimed at people who may not not be in the United States legally, but who have not committed any violent crimes), and there is little question this law was primarily aimed at Latinos. I seriously doubt this law will be used against undocumented from Europe. As for why the U.S. Supreme Court decided not to hear this case…..it has now joined a number of bad rulings made by this court over the last 200 years. Among some of the worst rulings ever made by the U.S. Supreme Court were the Dred Scott vs. Sanford case (1857) that effectively allowed slavery in every state of the United States and reduced African Americans to little than property; the Plessy vs. Ferguson case (1896) that allowed the “separate but equal” Jim Crow laws in the southern states to fester for another 60 plus years and doom two generations of African Americans; the Korematsu vs. the United States case (1944) that effectively allowed the U.S. government to intern Japanese immigrants and Americans of Japanese descent (later reversed by the U.S. Supreme Court in 1983), and the Buck vs. Bell case (1927) which said it was O.K. to forcibly sterilize the mentally ill. When the U.S. Supreme Court commits a major gaffe, Lord knows how many people will pay for it. Letting this unjust law stand will sadly also encourage demagogues like Kansas Secretary of State Kris Kobach (the creator of the Fremont ordinance and similar legislation in other states) to be able to attack those who are usually unable to defend themselves.